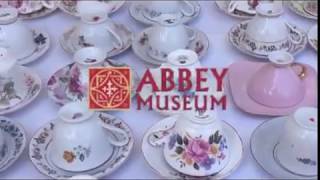 The Abbey Museum of Art and Archaeology is situated in Caboolture, an hour north of Brisbane. It has one of the finest collections of European and Classical artefacts open to the public in Australia. The collection covers over 500000 years of world history and endeavours to educate and inspire through its displays and public programs. The Museum’s collection includes prehistoric artefacts, ceramics, glass, stained glass, metalwork, woodwork, lacquer, sculptures, manuscripts and rare books, Renaissance and Baroque paintings, watercolours, icons and frescos. The annual Abbey Medieval Festival – which is a vital fund raiser for the museum - brings to life the colour, pageantry and excitement of Medieval Europe. 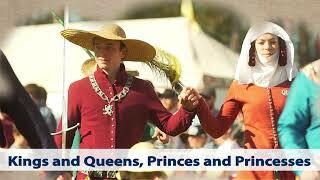 Medieval re-enactors, musicians and street performers from across Australia and overseas join in a vibrant display of life in the Middle Ages. This tells just one of the stories of the Abbey Museum collection, but they have many stories to tell. ‘To enrich people’s lives through the stories created from their collection’. Child $7 Ages four to 16 are AUD7. Children under four are free. Indicative Prices $12.00 - $12.00 Adult AUD12. Family up to AUD25. Groups AUD7 per person.